On March 26, at around 9 pm, Commerce Secretary Wilbur Ross announced his decision to add a citizenship question to the 2020 decennial census, in response to a request from the Department of Justice. The Secretary noted that he received more than 50 letters on the subject and he interviewed more than two dozen people. That included a letter from roughly 120 foundations opposing the addition of the citizenship question. In his memo, Secretary Ross concluded that asking the question will help the government gather currently unavailable data on the population of people who are actually eligible to vote, thereby helping to enforce the Voting Rights Act. 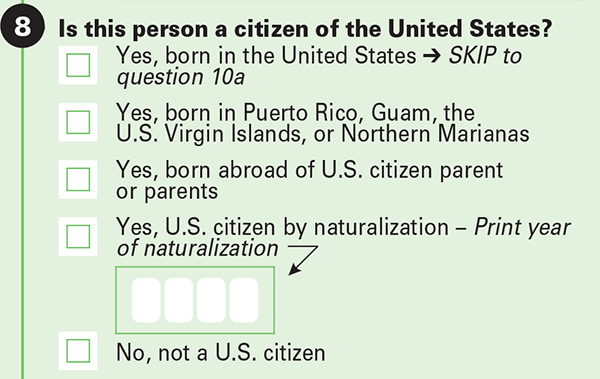 He added, “The Department of Commerce is not able to determine definitively how inclusion of a citizenship question on the decennial census will impact responsiveness. However, even if there is some impact on responses, the value of more complete and accurate data derived from surveying the entire population outweighs such concerns.” The Secretary decided to use a question that is currently asked on the American Community Survey (the equivalent of the census long form). The purpose for this emergency briefing is to understand what happened, the implications of adding the question, and to begin a discussion about how to respond to the new question, there will be an emergency briefing broadcast via the web for funders. Who should participate? Grantmakers interested in promoting inclusion and equity, and particularly those who work with immigrant and refugee communities. Promoting a fully-inclusive, honest, and accurate 2020 Census is an MCF public policy advocacy priority. Grantmakers who want to participate in actively supporting this policy and engaging their communities in the 2020 Census should also participate. You do not need to register to join this briefing. Please use the information below to log-in a few minutes before the start of the briefing. For information, contact Bob Tracy, MCF's director of public policy (612.335.3558).